Michigan Central Station, a hulking ruin, is a 230-foot-tall symbol of urban decline a stone’s throw away from Downtown Detroit. Now, though, Ford Motor Company is in talks to buy the abandoned station from its owners, the Moroun family. 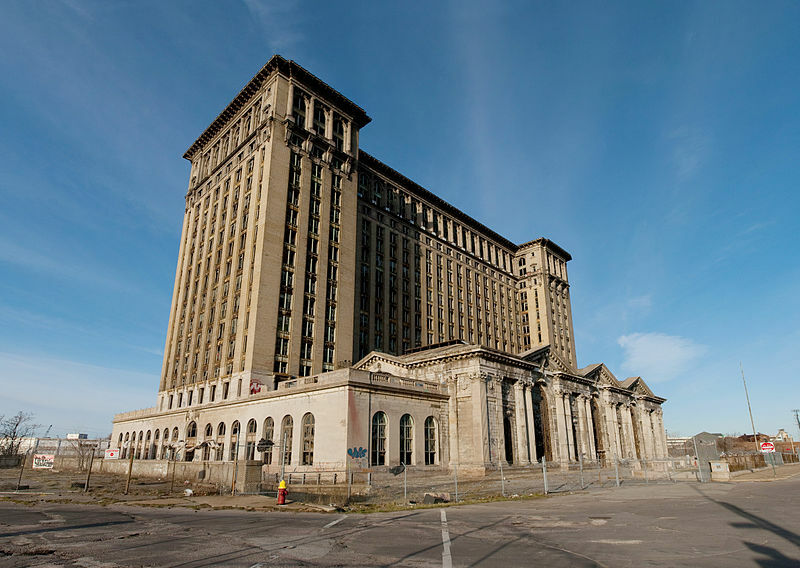 As soon as April, the Dearborn, Michigan–based automaker could ink a deal that would transform the 500,000-square-foot train station in the city’s Corktown neighborhood into—well, it’s not really clear at this time. In the past, Ford leadership said that expanding their workforce in Detroit, historically a home base for the company, is part of a strategy to attract and retain younger talent, many of whom want to live in cities. The news comes as Ford is moving around 200 workers to a facility down the street; those familiar with the just-announced deal say 1,000 or more workers could fit inside a transformed Michigan Central Station. Amtrak stopped running trains through the station in 1988, and since then, the Michigan Avenue building has served as a low-hanging symbol of Detroit’s deindustrialization. Alongside countless ruins tourists on Flickr, artists like Camilo José Vergara and Andrew Moore have extensively documented the decline of the station and the surrounding city. Recently, though, the Moroun family has brought the space back to life, somewhat. Last summer, they opened the building to a Crain’s-produced event for investors interested in the city, and they’ve spent $8 million on window replacement and structural upgrades in the past three years. If Ford drives the station deal home, it would not be the automaker’s only major investment in its Michigan physical assets. Ford is in the midst of a ten-year, $1.2-billion overhaul of its neighboring Dearborn campus, with the help of architects at SmithGroupJJR.